Moxie is a community for badass babes. through connection, development, and collaboration. We’re bringing together inspiring women with bold ideas. At Moxie events, you can expect more than boring white name tags, forced small talk and 30-second sales pitches. When it comes to connection, we’re fans of the long game. Expect to meet movers & shakers - women with a vision who aren’t afraid to make things happen. Connect, then elevate. Our experiences go beyond the traditional meet & greet. With engaging, relevant content, our collective will help you navigate the intersection of career, relationships, and family. We’ll get real about the good, the bad, and the bold as we work towards success - together. You can’t do it alone, and you don’t have to. Our collective is a space for the creative, driven and intelligent to collaborate and flourish. You’ll have access to women from all backgrounds, industries, experience levels and skillsets so you have a community to help you evolve and grow at every stage. Moxie women are a force. They embody an uncompromising, fierce determination to succeed in all aspects of life. We’re on a quest for what’s possible when we embrace our feminine identity and leverage it to elevate ourselves, our careers, our communities and beyond. You can have it all - so go ahead, and be bold. As women, the concept of "motherhood" can be many different things to many different people. It can be the literal physical ability to give birth to a child. It can be the act of providing love, security and care for another human being. It can be the weighing of society's expectations to fit into a mold that might not necessarily work for you. Whatever motherhood means to you at this point in your life, as women it's a topic that will be brought up to you for the rest of your life. In honor of Mother's Day, join us on Wednesday, May 1st from 5:30 - 7:00pm for an enlightening panel discussing the topic of motherhood. 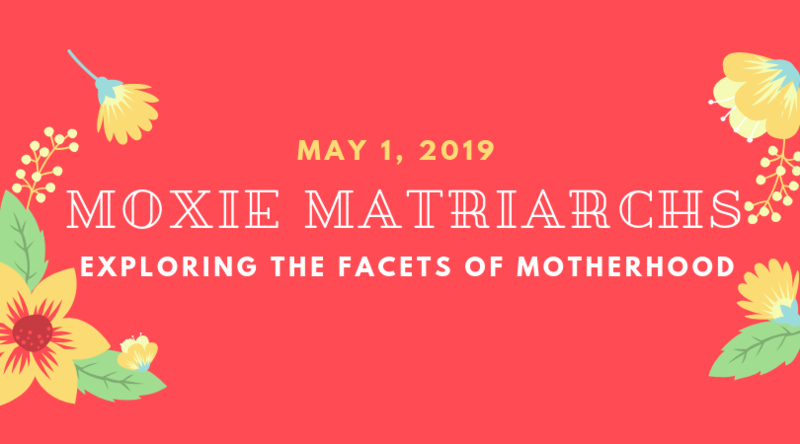 The panel will feature six incredible women who have journied down remarkably different paths, and explored deeply varying facets of motherhood.